Word is, Sunderland are on the brink of announcing Charlie Wyke has signed from Bradford City. The 25-year-old has been top of the Black Cats wishlist for some time but the Wearsiders have faced competition from the likes of Bolton, Preston North End and Aberdeen for his signature. It seems a deal to bring the Middlesbrough-born striker to the Stadium of Light has now been concluded and Wyke will have several days to link up with his new teammates and prepare for the 2018/19 season which starts a week today. 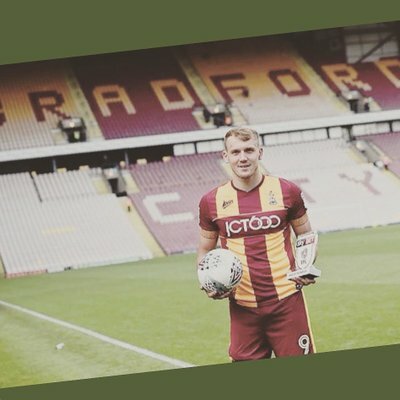 Wyke has played over 50 games for Bradford since joining in January 2017, bagging 23 goals. Last season he bettered a goal every other game in League One and has developed his all-round game since the last time we saw him in the north east. A product of the Middlesbrough youth system, Wyke spent a couple of seasons loaned out at Hartlepool United in his younger days. Pools fans remember him as a raw physical threat who enjoyed a battle with opposing centre-backs. The 5ft 9in hit man has developed into a powerful number nine who has added some consistency to his goals-scored stats. Wyke's arrival at the Stadium of Light is likely to follow hot on the heels of Jack Baldwin who has been unveiled this afternoon and Wycome Wanderers midfielder Luke O'Nien who is widely tipped to be unveiled this weekend. There's likely to be more to come too with at least two more names in the frame just now as Sunderland step up their efforts to land reinforcements ahead of the visit of Charlton next Saturday. This week is also likely to see a raft of departures. We'll hopefully have some news on those a little later 👀.